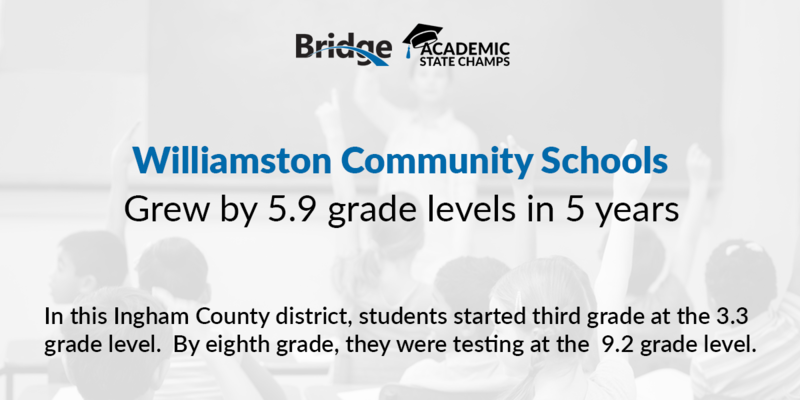 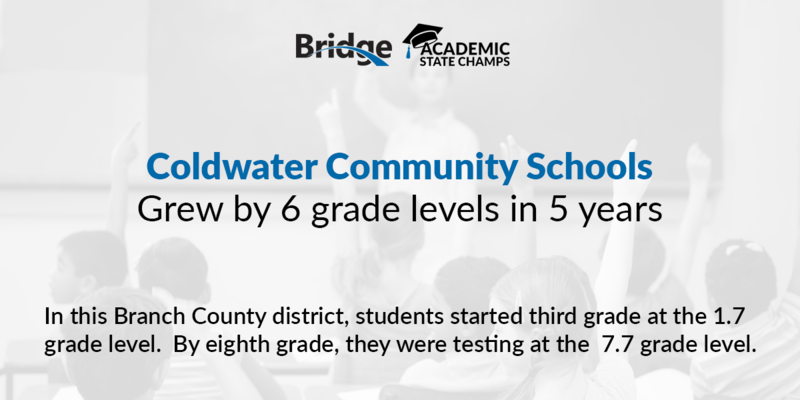 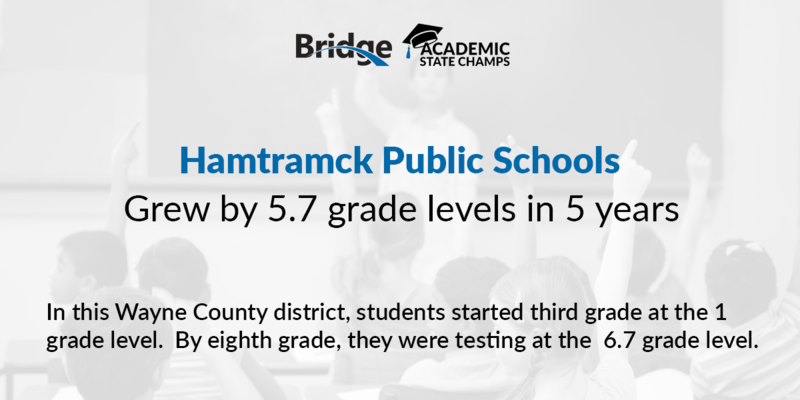 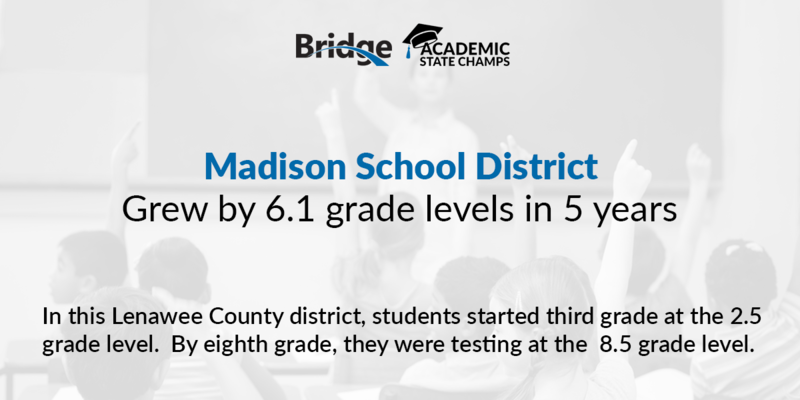 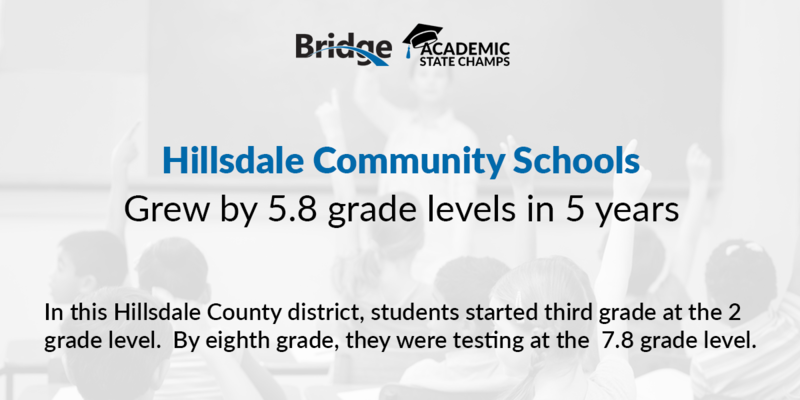 Bridge Magazine is naming its Academic State Champs for 2018 based on how many grade levels students grew, based on test results, from third to eighth grade. 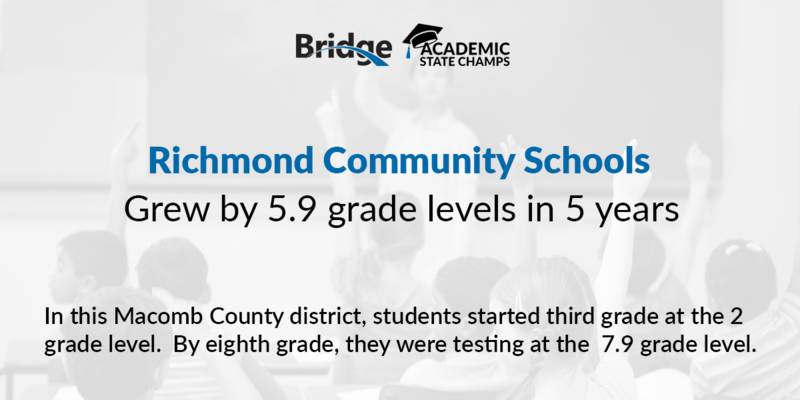 The findings are based on research from Stanford University. 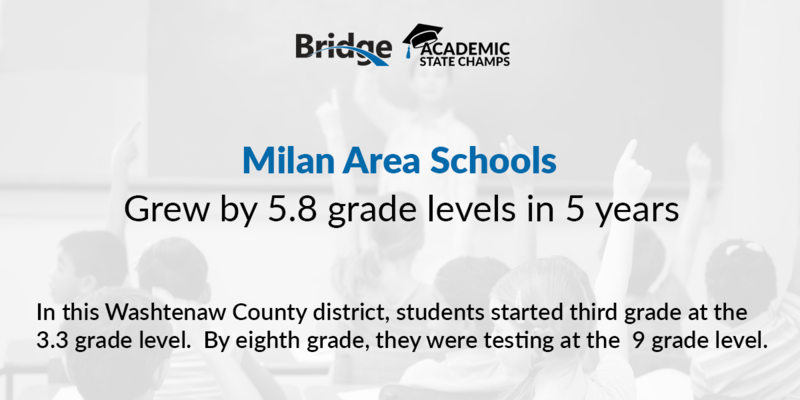 Here’s a look at the top 10 mid-sized districts (1,300 to 4,000 students) for growth. 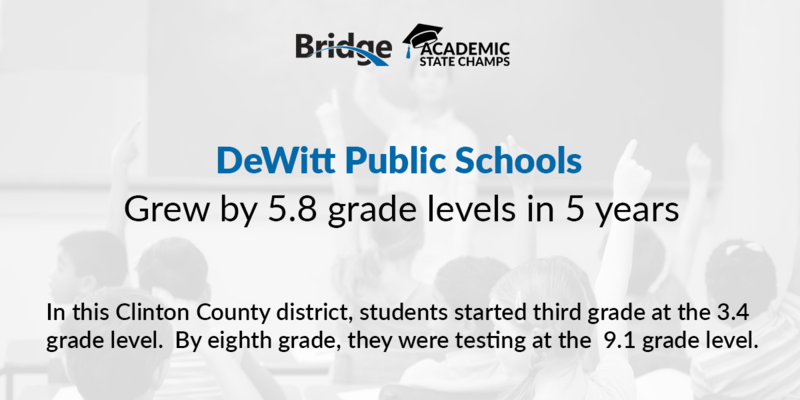 Read more about the research and data that determined these rankings. 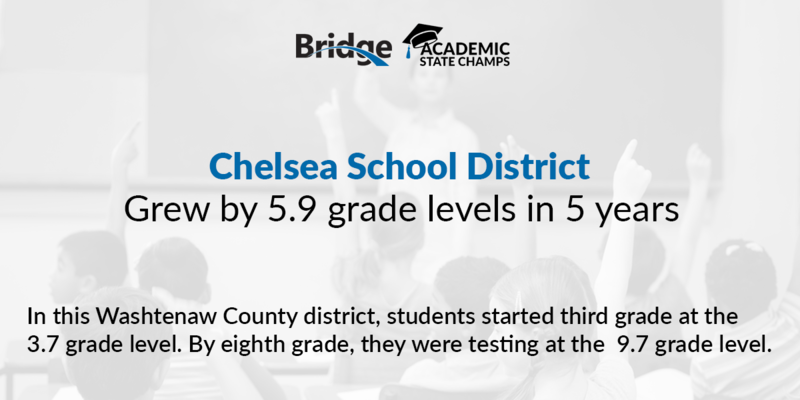 If you don't see your school in the Top 10, check out this database to see where your district fits.